Super confortável resort de férias! GRANDE ÚLTIMA MIN OFERTAS EM JULHO / AGOSTO PISCINAS, jardins com vista para o mar, ar condicionado em todos os quartos, WIFI GRÁTIS, ao lado do hotel de 4 estrelas e Spa!!. 3 pessoas acharam esta avaliação útil. Lovely accommodation and fabulous pool. Everything was clean and working. The air con was great for night time with small children. The pool and grounds were immaculate. Nearby beaches were lovely. You can visit use the bar etc at the hotel next door. Only problem for us was not having a shop or restaurants in walking distance as we didn't have a car. A big thank you to Eva and all the staff at Catalan Ways, who have been so helpful from our first enquiry and throughout our stay, nothing has been too much trouble. 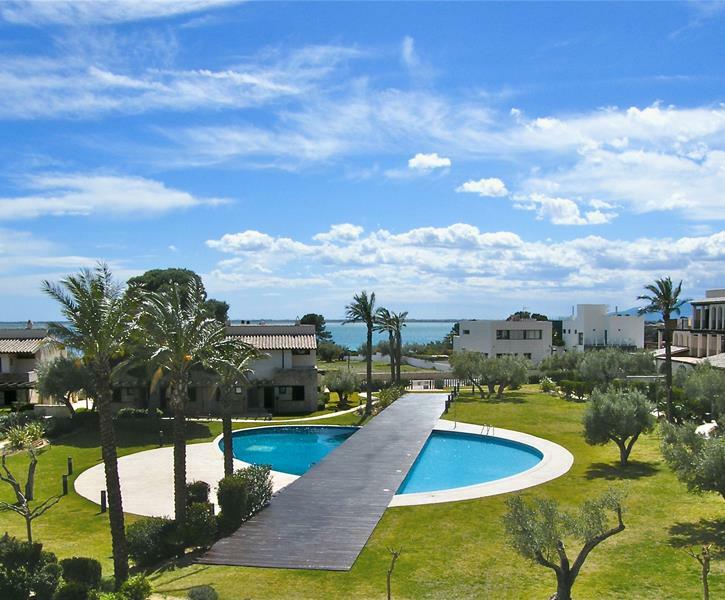 The apt/ villa is in the perfect location and the nearby facilities are excellent for the whole family. Eating out is good quality and reasonably priced. We look forward to returning. The place was amazing, both the house and the common areas. All in great condition and maintenance. The only down side for me is that the rules are too strict, no inflatables or sun lounges or chairs in the pool area. Not great for us. But if you like that it is good. Overall it was a great experience. This was my first time travelling with family and siblings. We had a nice stay and would definitly do this again. It was a very family friendly place for the kids. The taxi in l'ampolla was really kind and it was cheap. The service that we recieved when we needed help was excellent from catalan ways. We even got picked up at barcelona airport. Thanks for making this an enjoyable stay for my family!